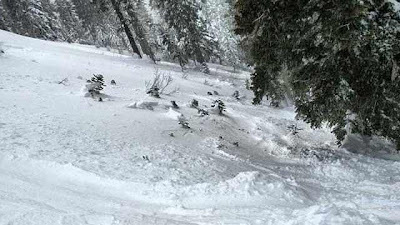 Tragedy has struck at Donner Ski Ranch where a Tahoe man died today in an in-bounds avalanche. Our condolences to the family of Mark Anderson of Hirschdale, California. Over three feet of snow has fallen since Friday. During this cycle, a long-time Alpine Meadows ski patroller was injured when the avalanche he intentionally triggered during avalanche hazard mitigation fractured higher than anticipated. His condition is unknown.